This is embarrassing to admit, but over the past few years I’ve become quite the fast fashion consumer. When I was younger, I took a forceful ethical stance and swore it all off, but lately it seems that you can find me spending money in a large fast fashion retailer multiple times a month. Truthfully, as a creative person I feel lousy about purchasing a style that has been designed, manufactured, and marketed specifically for my socio-economic group. It doesn’t feel right for me, and I want to take time to reconnect and rediscover my style, and make it truly personal. That’s why I’m choosing to devote 2015 to a complete wardrobe overhaul. You might call it style therapy, a closet cure, or a fast fashion diet. Whatever it is, for one year I’m not buying new clothing; everything must be made or purchased secondhand. I believe that this will get me truly thinking about whether I actually need something, while challenging myself to become a better sewist by tackling projects I had never previously given much thought to. And I want you to join me! I have designed a year-long program that closely follows the tenets of the Wardrobe Architect, with a strong focus on sewing your own capsule wardrobes for spring/summer and fall/winter. Don’t worry, you don’t actually need to swear off buying new clothing if you don’t want to! However, following along with this challenge will give you the opportunity to slowly and methodically design and plan to sew your own wardrobe. Below is an outline of everything we’ll cover, month-by-month. Of course, this timeline is not gospel! You are free to sew all year long (I know I will be), but I have found that it can be incredibly helpful to have a few weeks at a time to really focus on different aspects of a project before moving onto the next. This month’s theme is about finding your core style and picking silhouettes that best suit your body. To get started, read through The Wardrobe Architect Weeks 1-4 on the blog and complete all related projects and worksheets. I recommend getting a sketchbook or binder to keep everything organized as we work through the year. Then, start browsing for sewing patterns that you think would fit well into your future capsule wardrobe. If you like to design and make your own patterns, sketch up some designs that you think reflect your core style and that you might like to see in your capsule wardrobe. Better yet, you can even do a combination of the two! Try to come up with at least 20 patterns or designs in different categories of clothing, such as tops, blouses, pants, skirts, or outerwear. 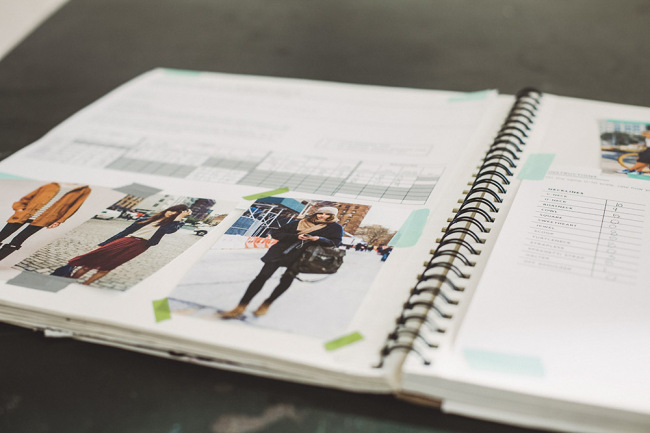 Print out photos of the patterns or add your sketches to your notebook. Have you worn similar styles before? How did you feel about them when you wore them? Would you need to make any modifications to the designs you choose? Are there any designs that don’t quite fit with the others? Are these designs cute and trendy, but maybe not quite you? Design or collect 20 pattern ideas that reflect your core style and preferred silhouettes. We’ll pare these down later. Toward the end of the month, we will have a check in where you can share what you’ve come up with. If you plan on participating please post in the comments and let me know what your specific goals are. I’m excited to get started and see the wonderful wardrobes everyone creates! I am in. This is exactly what i need to know about me. I hope i can find out and enjoy my handmade wardrobe 100%. Late to the party has as I just stumbled across this on Stitchers Guild. The good news is that I’ve collected a bunch of looks on pinterest. Lately, I’ve been trying to analyze the common denominators about what I like. Essentially it’s a ‘euro chic’ look. So I’ve just started envisioning what the components of this would be for me for spring/summer 2015. So I’ll jump in here and follow along. I am interested in joining in. I have been sewing for many many years and find my biggest challenge is to adapt to styles that suit my age and additional weight after years of being able to choose any style and sew a size at it came with no adjustments. Life gets more complex as you age but I also have more experience. Now it is time for a one-year review of my wardrobe and lots of sewing. Arlene, I am so with you on the age connection, being a woman of a certain age myself. I need to reassess and redesign my way to simplicity and add some new fitting skills to my sewing. Listen, with all the things “we” have learned along the way we’ll get this decade conquered too. I’m in! I’ve just made a top and blogged about it – everyone liked it but it is just not my style so I think this will be a good program to work through. I’ve been meaning to do last years program as well, so I can do both at once. I have to finish some work next week, and then I’ll start -except as I live in Australia I will be reversing the seasons. I always feel so weird when I wear something and receive a lot of compliments for it, but I secretly hate it! It makes it so much harder to let it go – but even moreso when it’s something you made! I’m definitely in ! Thank you for launching this 2nd challenge. Last year I had not enough confidence in my sewing skills but now I feel like I’m ready to start sewing more coherent projects, even if I won’t have time for an entire wardrobe. Ooh! I’m excited, count me in. As there are no 4 seasons here where I live, I’m thinking of doing things a little differently by building a capsule suitable all year round especially for more humid and hotter weather. I’m glad you’re incorporating knitting as well! I’m currently working on a sweater that I hope will fit into my capsule wardrobe (if it fits!) and would love to knit a few new accessories this year as well. I’m so in! Sounds like fun and my mummy wardrobe could use a bit of an upheaval. Thanks! Ok. I’m in! I’ve been contemplating this for some time now since the post originally occurred and really want to take this challenge on for 2015. I’m very excited about the possibilities! Fingers are crossed I’ll have a fabulous “custom” wardrobe by the end of the year versus odds ‘n ends of various RTW that doesn’t flatter me. Thank you for the encouragement and inspiration! I am toying with joining in on this. I have the notebook, filled out the first worksheet and I’ve been looking for images. For the most part I am happy with my wardrobe, but I keep sewing the same things and I need the push to fine some other interesting patterns that work for me. I need that third piece that will work in warmer months. I do like to search high end websites and Style.com for ideas. I look at everything through the lens of my body type and weight, my lifestyle and my age. Some things that look great on younger women would look dowdy on me. I’m 64. But, I like high style and minimalism. My favorite designers are Celine, The Row and even Eileen Fisher for the simple quality and wear ability. I am working on getting a well fitting pair of jeans. It will be great to have a community of people to be accountable to (in a way). I’ve already worked through the first three month’s objectives (oops!) and already picked out the pieces I want to make for Spring/Summer, but I know I wont be able to sew most of the pieces before May anyway. I’m in! :) I’d like to take advantage of the amazing opportunity of personalization that knowing how to sew offers and try mainly to make dresses I’m happy to wear every day. This would be a great saving of time, money and resources, as well as a great opportunity to find my style. This challenge is what I need in this moment! :) Can’t wait to start it! I’ve been spending a lot of time thinking about what projects I actually want to sew, which items I’ll get a lot of wear out of, and which ones will suit me and that I’ll love. This year I definately want to take a good long look at my wardrobe and clear out all of the cheap, uncomfortable, and unloved stuff and replace it with things I’ve taken care over and will love. Mostly I want my wardrobe to have some sense of cohesion, I think this challenge will be great for giving me some direction. I’m in! I’m in! In fact I finished the tasks of week 1-4 already! It’s so much fun to do this. I bought your sewing handbook, read the chapter on a thoughtful plan, took a look at the website and now I’m totally into planning my spring/summer wardrobe. I’ve had a lot of fun so far. I hope to sew just one or two pieces this season, but this preparation will give me the confidence to buy nice material and pick a pattern that is totally me. 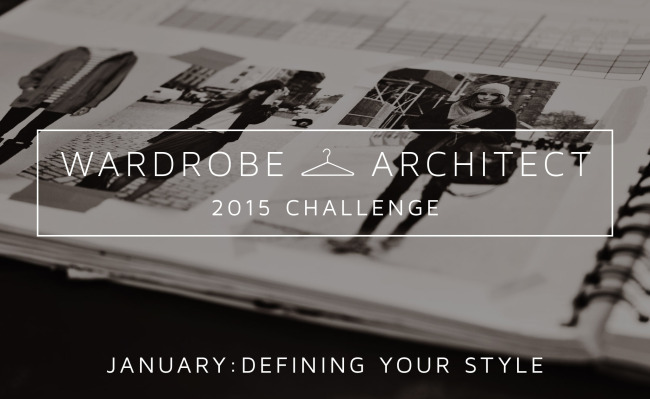 My silhouettes are here: http://meynensoutenboom.blogspot.be/2015/01/wardrobe-architect-week-4-building.html . I’m in, too. I need to build a retirement wardrobe. WAChallenge will help me get focused. I also will be happy to create one or two outfits per season. I have a couple of hand knit sweaters in progress, so I want to create outfits to wear with them as well. I am SO glad this came back around. Count me in! Oh this is just what I need! I really hope to make time to sew clothes that suits me and my lifestyle just fine! I’ve been thinking a lot about my style and wich clothes I want and need and I’ve used the wardrobe architect to find out more about it. Other sewers doing the same will hopefully push me to actually make what I need. My goals are: sewing/making a minimalist wardrobe that I love to wear and were I can combine clothes with my eyes closed. I will try to use only stash for making it but if I need to by, I will try to buy fairtrade fabric. If I can’t help myself, I may shop second hand or in an ecological fairtrade shop. Done! I basically completed all the assignments from last year’s Wardrobe Architect, up to week 10. You can find the capsule I created here: http://meynensoutenboom.blogspot.be/2015/01/wardrobe-architect-week-9-capsule_26.html . While I found it challenging to limit the number of silhouettes (3), palette (7 colors) and number of pieces of clothing (20), I’m pleasantly surprised at the combination potential of the end result. I also discovered that even though I love bright colors, it’s a good idea to get more neutrals and nearly neutrals in my wardrobe, and that that doesn’t mean my outfits become bland or boring. My polyvore account, where you can find the capsule and some outfits is here: http://sara-brankaer.polyvore.com/ . If you’ve made a capsule, too, let me know! I love looking at how the same process leads to different results depending on the taste and creativity of the participant. This is my same goal this year! I am a 30FF and buying RTW tops is extremely frustrating! Lucky me, I have a friend who is teaching me pattern altering. She has introduced me to Colette! So far I have made the Clovers (my sample, but I actually wear them they came out so amazing!). I have the material for three more pairs! I’m just waiting for the notions to arrive. Last Friday I played around with Sorbetto. Alteration lesson was yesterday. Can’t wait to cut & sew my new & improved Sorbetto! The silk chiffon is picked out for a Zinnia overlay. 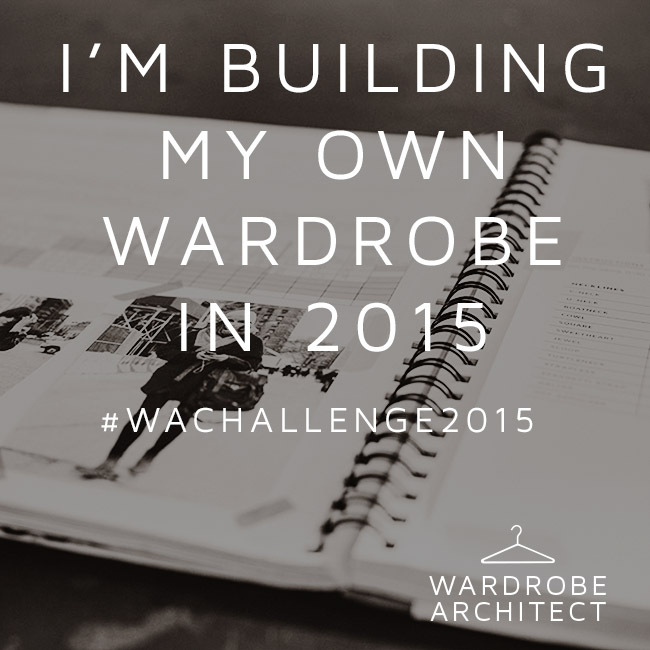 It is going to be fun joining in with others as we design and create our dream wardrobes! I love this challenge! I realized from the week 1 challenge that climate has a massive impact on what I wear (i.e. pants and sweaters every day for four months because we have a crazy cold winter) and that is so sad…so I am going to work on changing it!! I’ve always been one to avoid the trends in RTW which sometimes makes it difficult to shop, so creating my own wardrobe is the best way to get around that problem. Thanks Sarai and Kristen! I started on this the last time around, but didn’t quite finish. I’m excited to try again. I’m a hard shape to fit, so I seriously need to do this & stick to it. I’m in! I’ve invited several of my friends – even the non-sewing ones – to join. Even if one doesn’t sew clothing, one still needs to know WHAT goes in one’s wardrobe and what needs to be replaced (or eliminated. Hello, leg warmers?) The challenge to buy nothing new until I determine my ‘style’ is daunting. I’m always looking for new clothing/fabrics – hence the mess in my closet and stash pile. I´m in! It´s about time to get to grips with my wuthering wardrobe and stop buying and sewing random garments I like, just to realise later there´s nothing I can combine them with! Thanks for doing this again, I kinda missed out last year. I’ve just read this – I’m so behind on emails and EVERYTHING else in my life (work is crazy). HOWEVER, I want to do this! Last September I started a ‘get healthy and lose that weight’ plan. I’ve lost all but these last 6 lbs. that are leaving my body a couple of pounds at a time. So, I need a new wardrobe! I’m going to print out all of these sheets, get my binder and get started. I can’t wait to get sewing! I’m in, my plan is to create and sew a wardrobe that I like. Just found this challenge – it’s something I really need! My wardrobe needs a custom overhaul. I’m tired of settling for RTW colors/styles/patterns and lame fit. As a sewist I can create exactly what I want and I know it will fit well. I just need to get myself organized – this is the perfect way! Thanks for offering this challenge. I’m late, I’m late…but if I don’t write it down, even in a comment, it won’t be real! I am a new sewist — as in, I learned to sew when I was four, but it took me a good 22 years before I learned how to sew anything functional. So, my skills are very basic, very limited. But that’s good! It keeps me from getting too carried away. I haven’t a clue what my personal style is. I’ve been a confused little style kitten my whole life. When I recently freaked out in a DSW because they had a perfect pair of basic black Docs on super clearance IN MY SIZE, and I’d always wanted Docs, a whole lot about my style preferences became painfully, 90sly clear. My goal this year is to make a few core items for each season. I have a chronic illness, so I have two “capsules” to fill — stuff that I wear around the house. I’m tired of being in cheap knit tank tops all day long (I have at least made myself comfy, cute lounge pants at this point), and I long to feel pretty even though I need to at any moment be perfectly capable of lying down/vomiting/stretching (/tmi). I also come from Oregon and am living in the terrifying land of seasons. Like. Where it does more than rain. And I frequently find myself both overly freezing or overly hot. I did not understand the need for seasonal clothing until recently. I want to make for spring and summer: two tank tops, two t-shirts, one mid-length pencil skirt, two woven tops, and two calf-length a-line skirts. I don’t think a-line is my best style, but I also don’t know since I’ve never worn them. I’m choosing styles based more on what sorts of sewing tutorials are available on the internet. Next year when my skills are better I can replace them with a different, more suitable pattern if need be. For the fall and winter, I’m looking at a few more pencil skirts, and a few more tops. Summer is harder for me, because while I know how to pile more on if I need to, I have absolutely nothing to get me through the summer. I plan on learning more about cottons/linens, and working on a handerkerchief linen slip collection. Eventually. I know that I’m a little late starting but I definitely want to join. I need something to help me focus on what I sew. I committed to myself to not buy anything new in 2015. Anything I want, I need to sew. This is very exciting for me! I’m a little late to this party, but I think I’m gonna try to join in! One of my goals this year was to start sewing my own clothing. I found some of January’s Wardrobe Architect challenging because honestly, I don’t have a lot of good background as far as clothing goes and I still do not really know what I want my look to be. Oh well. I think I will need to just purchase patterns that I think look nice. Also, I know this seems to come naturally to everyone else, but where can I find a good guide on what fits well on me? I really do not know what clothing looks good on me, I just mostly dress for comfort. This is fantastic!!! I have been away and not been checking my email ….bad me. Yes, new addition to the family…daughter and hubby had their first baby ….proud gma me. But, I love this idea and even though I am a gma…still must sew clothes right? Yes gma’s need clothing. I am on board well, I am gonna try. What a great opportunity for people to discover their style and what does and doesn’t work for them. One of the best ways to save money is to know this upfront so that you won’t buy things that aren’t a good style fit just because they are on sale (or for other reasons). And then once you have the basics that work for you, you can always make it individual by adding something that is unexpected (color, shoes, accessories).